Sands Investment Group is pleased to present this Absolute NNN fast food investment opportunity located in Kansas City, Missouri. Denny's is a table service diner-style restaurant chain. Originally opened as a coffee shop under the name Danny’s Donuts, Denny's is now known for always being open and serving breakfast, lunch, and dinner around the clock. This is where guests have come for over 60 years now to sit back, relax and enjoy delicious, hearty meals 24/7, every day of the year. From breakfast anytime to satisfying lunches and dinners. Denny's is always open, always welcoming and always serving up hearty diner food along with a mug of fresh hot coffee. Denny's does not close on holidays and nights, except where required by law. 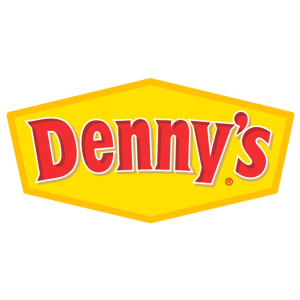 Denny’s is one of America’s largest and most loved full-service family restaurant chains. It operates over 1,700 restaurants in the United States (including Puerto Rico and Guam), Canada, United Kingdom, Mexico, Dominican Republic, El Salvador, Curacao, Costa Rica, Guatemala, Honduras, Japan, New Zealand, Qatar, Philippines and United Arab Emirates. Being an international company, Denny's recognizes the importance of maintaining cultural relevance. It has kept the classic Denny's image fresh through innovative advertising, sports sponsorships, and menu tie-ins with major films. Denny's has always continued to seek out new and innovative ways to make operations more efficient and help our franchisees operate more effectively. With years of experience, Denny’s knows what it takes to serve the fabric of America.